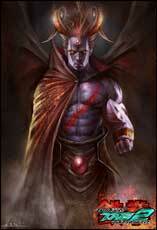 Devil is a character from the Tekken fighting games. 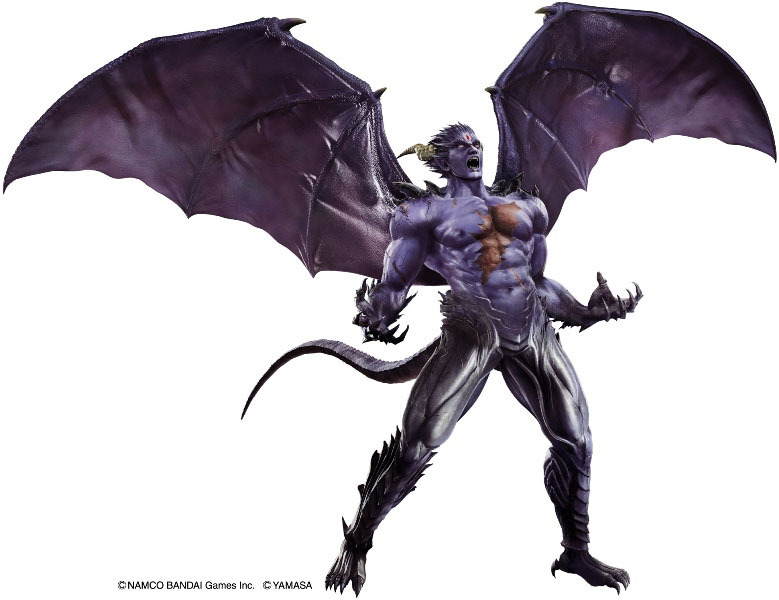 He made his debut basically in the Playstation version of Tekken 1 in 1995 already but was only an unlockable costume known as the Devil Kazuya costume and with no story explained behind it. This would change when Devil was made an own character and the final boss of Tekken 2 (1995) with different moves than Kazuya Mishima. He had in general still the same moves but also additional ones like his laser and a few small changes to combos. 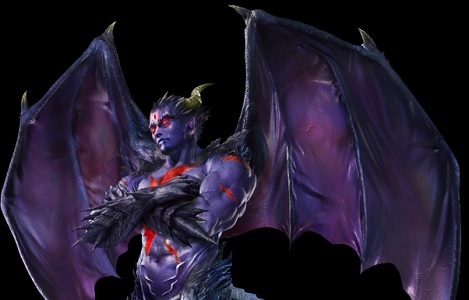 Devil returned as a playable character in Tekken Tag Tournament with a few more own moves and Kazuya was now able to change into Devil if the two were partners. 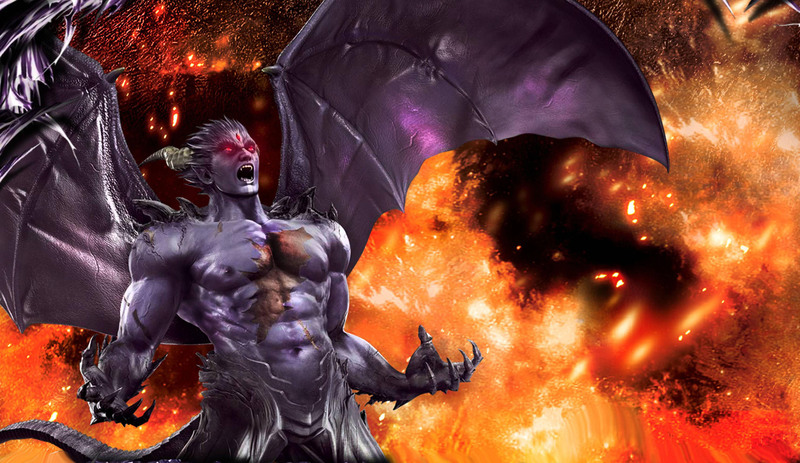 Devil was not returned directly as an own character in the later Tekken games but as a stance for Kazuya and also in the Tekken Tag Tournament 2 Demo & Tekken Blood Vengeance Movie Bundle for the PS3 known as Tekken Hybrid, released in 2011. Devil made also an appearance in the crossover game Namco X Capcom in 2005 where he was one of the main antagonists. 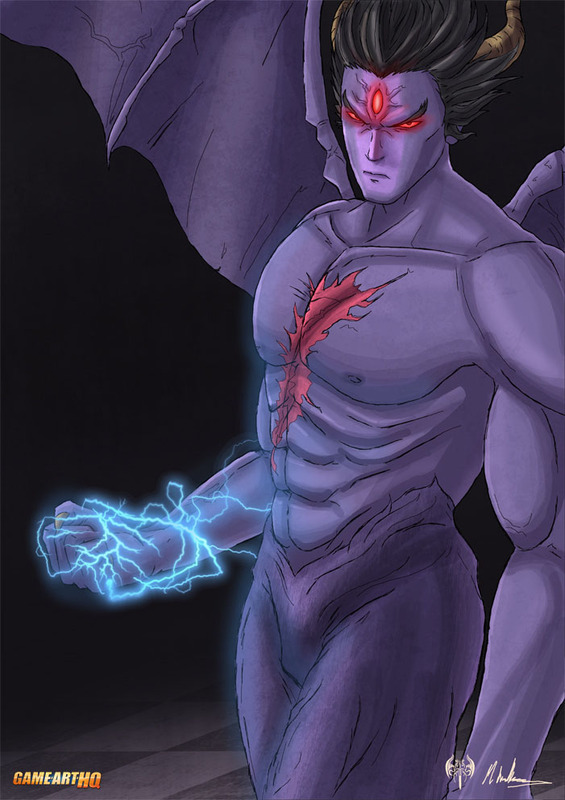 Devil was drawn by Mike Williams as part of our Tekken 2 Art Tribute in 2013!